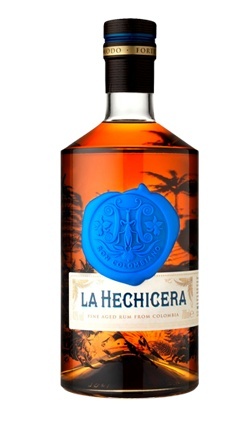 La Hechicera is a fine aged rum from Colombia. It is a naturally ‘unpolished’ rum, which means it has not been rounded up with additives or sugar, its smoothness and flavour are the result of the noble wood it is aged in. This is the traditional way of making rum that does not require any polishing or ‘finishing’, any additive would only opaque its innate brilliance. Its flavour profile is exactly what we expect rum to be; deep woodiness with characterful notes of things Colombian; a heady scent of toffee and orange peel on the nose followed by a bold burst of flavour on the palate with distinctive notes of tobacco and roasted coffee. Is ending is crisp and smooth.